Oceanside Hot Tub only offers the best, highest quality hot tubs and spas for the money. Tropic Seas Spas and Strong Spas offer the biggest bang for the buck, the highest of quality and reliability. Whether you are looking for an entry level spa or if you are looking for a luxurious high end spa... we have a hot tub to fit every budget and every need! NEW LOCATION!!! 6 Kensington Road, (Route 84) Hampton Falls, NH! Delivering and Servicing all of New England since 1998! 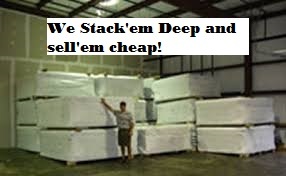 Low overhead means low prices...we are unmatched in Price and Quality! We keep our costs low and pass those savings onto you! We don't have alot of expenses, so we don't inflate our prices like other hot tub dealers!